Allin, his wife Ann and a group of friends and colleagues traveled to Jerusalem on two occasions to undertake a course of study at St. George’s College. 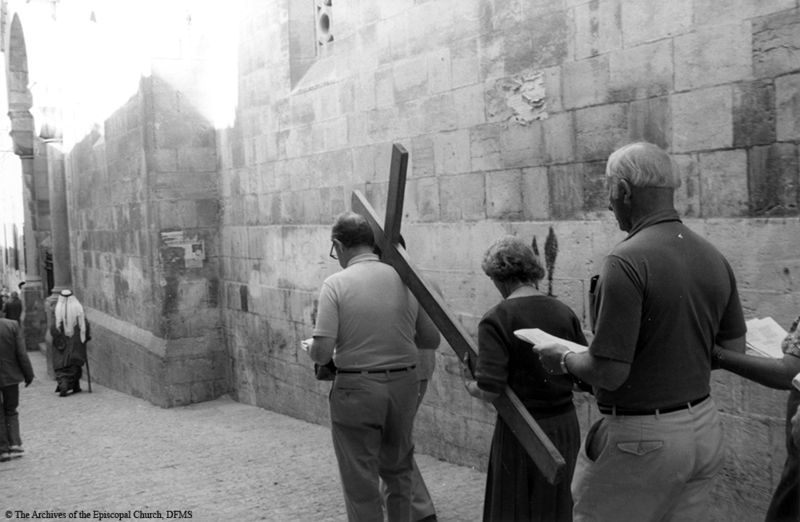 On this occasion, they walk the stations of the cross, 1985. “Allin In Jerusalem,” Venture In Ministry: John Maury Allin, accessed April 19, 2019, https://www.episcopalarchives.org/jma-presiding-bishop/items/show/128.